The Premier Hotel is ideally located for all local amenities and is just a short drive from both the North Shore and Seacroft Golf Courses. Out and about, explore the delightful local villages and perhaps enjoy a meal and a pint with locals in the many welcoming countryside inns. Further afield Boston and Lincoln can both be accessed by rail or regular local bus service. The whole coastline offers great day and night entertainment ideal for all ages. 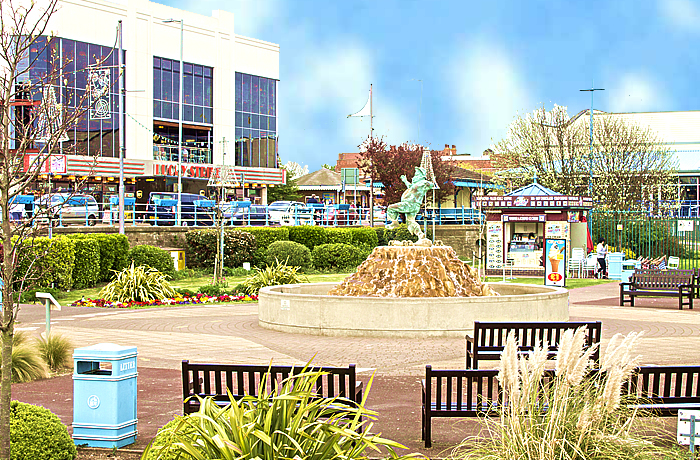 For simply relaxing Skegness has an abundance of secluded gardens designed for just chilling out on a warm summers day. A little of everything for the whole family. Great night-life, illuminations, entertainment, restaurants or just the solitude of quiet walks. The home of Fantasy Island, Butlins Funcoast World and a venue for great night-life, Ingoldmells is a short drive to the north. Explore the unique undiscovered Lincolnshire Wolds and secluded villages. Visit Wainfleet the home of Bateman's Brewery where you can enjoy a guided tour of the brewery and a pint. Visit Gibraltar Point Nature Reserve which has acres of unspoiled marsh land teaming with wildlife, bird hides and wonderful walks. the new visitor centre is well worth a visit. Visit the historical city of Lincoln. Explore the castle enjoy a walk around the castle wall, explore the Victorian prison, experience the solitude of the prison Chapel, gallows and burial ground. Be sure to visit the Cathedral and shopping centre.